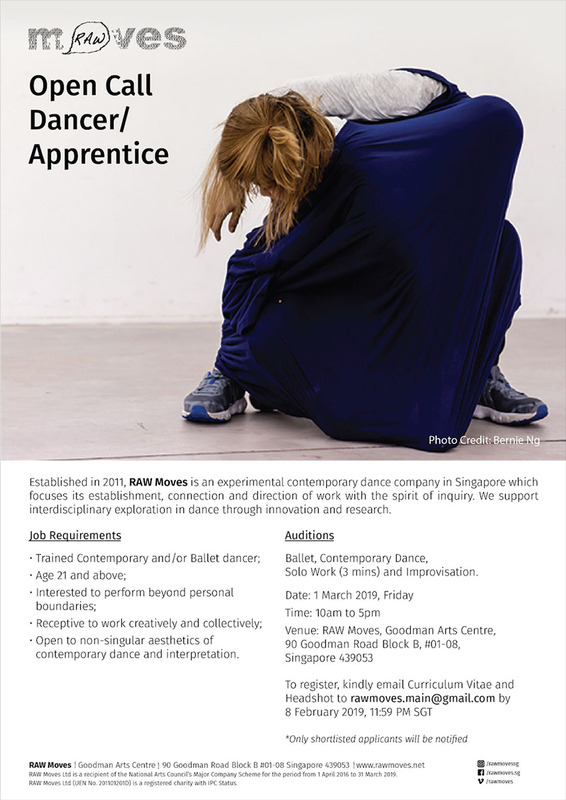 Established in 2011, RAW Moves is an experimental contemporary dance company in Singapore which focuses its establishment, connection and direction of work with the spirit of inquiry. We support interdisciplinary exploration in dance through innovation and research. • Open to non-singular aesthetics of contemporary dance and interpretation. Solo Work (3 mins) and Improvisation.